Hello, Folks. Today I am presenting to you a dear friend, an extremely talented blogger Ramya Rao who blogs at Words & Me. 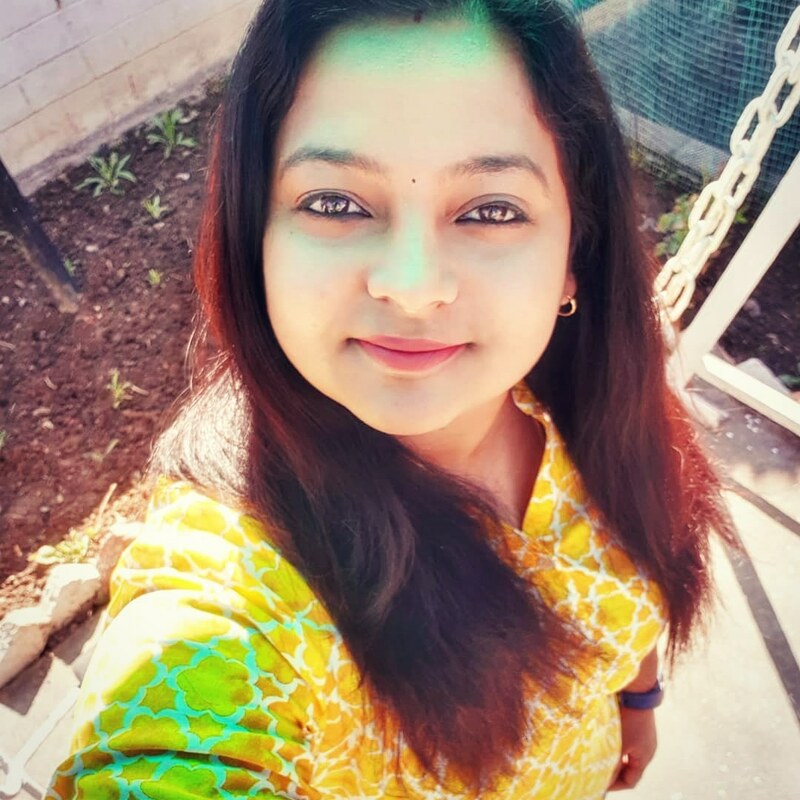 An engineer by profession, she loves to pen down poems, stories, travelogues and book reviews on her blog. A true bibliophile, she is all about women empowerment and doing her bit addressing social issues. Ramya has also published a book The Desi BackPack that takes you on a tour of the culture and heritage of India. She is someone I look upto, admire and respect- not only for her passion for writing. But also for being so honest and self-aware. When I requested for a guest post here on my humble abode, she didn’t even take a second to agree. I’ve always loved her poems. It is so simple that it comes out as pure magic. So here is one of her gems, written especially for the readers at Kohl Eyed Me. and that life is beautiful and fantastic. in the belief and relief that things could have been worse. that gives you the strength to cope. and that, in fact, is the cue! and in the shining stars above. in a city unknown where you feel you don’t fit. Believe in it and you can see miracles plenty. ‘I am taking part in ‘The Write Tribe Festival of Words #6‘. On Day 1 we wrote about a treasure. On Day 2 we wrote about a resource. Day 3 was to feature a map. Day 4 was to feature a day in my life. On Day 5 we wrote a letter. Today’s prompt is to feature/interview a guest. That is a magical poem. Indeed magic is everywhere and is the bedrock of miracles. Thank you, Shalini for featuring Ramya Rao on your blog. What a lovely poem! Magic, truly, is everywhere! Loved this magical write by Ramya. Her imagery is so dreamy and beautiful, it brought a smile on my lips. ‘Magic’ is my favourite word. Wish more people believed in it. Amazing lines Ramya! Particularly, loved the second stanza! The magic in you gives hope and spread more magic into the universe. I love reading Ramya Rao and already following her. The poem is beautiful. With so much magic around, who wouldn’t believe in it. Wow, Ramya you seem to be a gifted by God kind of a person. This is such a beautiful poem. I do strongly believe in magic and miracles and they are just around us and we need to just notice them.